We're finally moved into our addition!!! 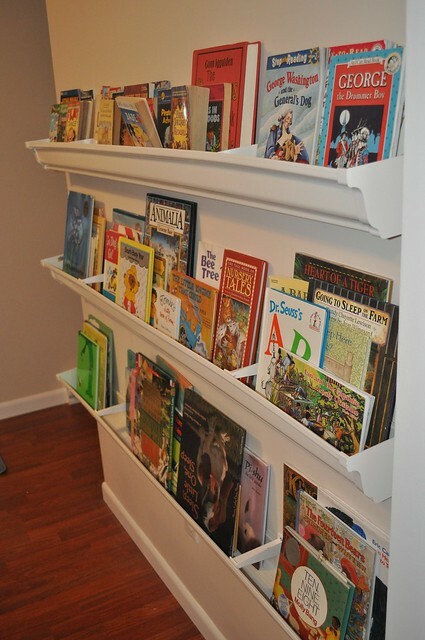 I'll be posting more pics over the next several weeks as we get things looking the way we want them, but I wanted to share our rain gutter bookshelves with you. Yep . . . you heard that right. Rain gutters. I first heard about these several years ago and couldn't wait to use them. Here's how they look! Super easy, inexpensive and I think they look great. If you want in depth instructions on how to make them, here it is. I'm getting my stuff this week, can't wait to try it. I can see little bits and pieces of the house, it looks great! Can't wait til Sunday to see it in person! LOVE it! I have seen this idea as well...looks cute and very functional at the same time!!! I can't wait for the rest of "the tour" this week. BTW how are you feeling? Is that sicky feeling gone? Looks Awesome, Shannon!! Can't wait to see it all on Sunday! I really love this idea! 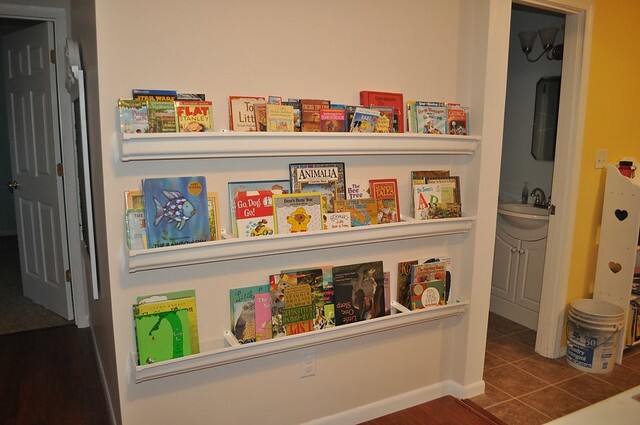 I have been looking at some shelves from Pottery Barn that look similar to this, but are super expensive. I might just have to try this one out! Thanks for the great tip.